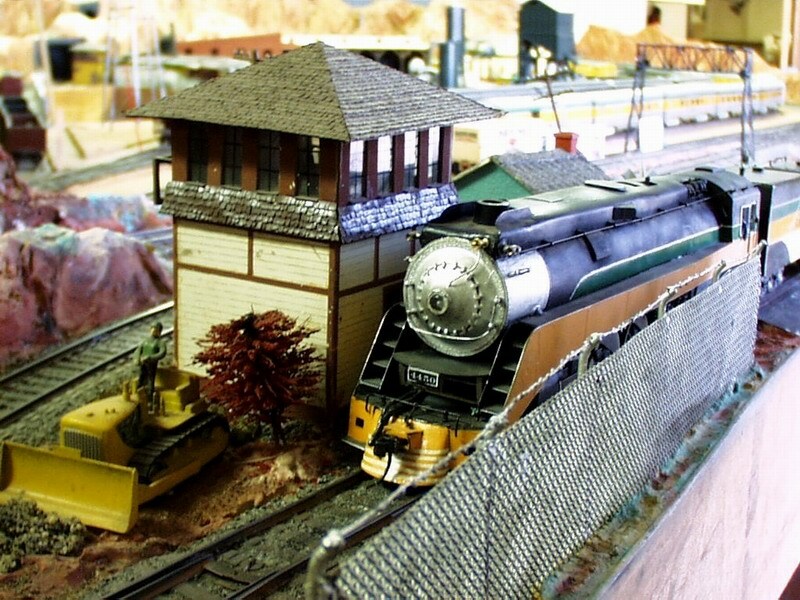 The Arroyo Valley Model Railroad was first started in 1935. 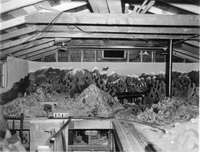 It's an "O" gauge layout and was first constructed with an outside third rail in the attic of our family home. 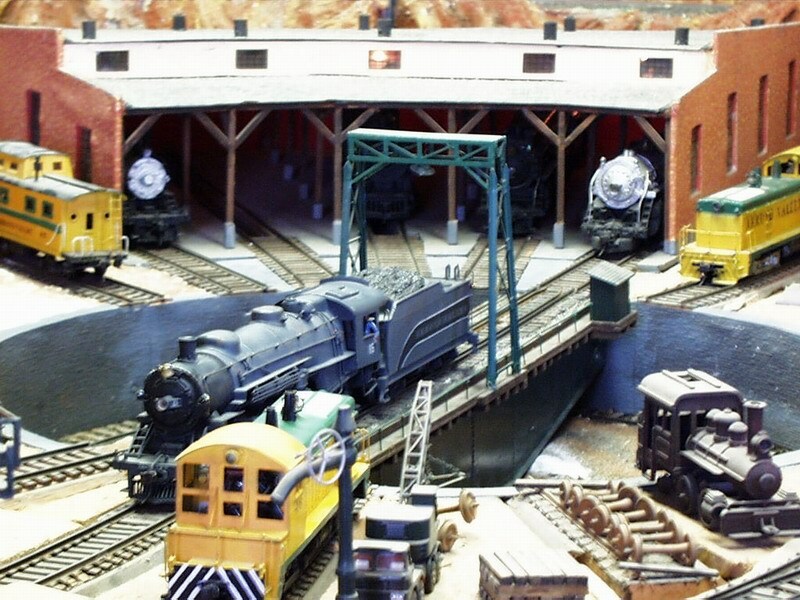 The railroad was converted to two rail in 1938 and the attic roof was raised so we could stand up. Most of the cars were kits or made from scratch. 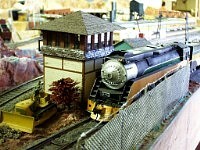 The engines where built from scratch or converted Lionel - such as the 700 kw series. A third layout was started in 1951. 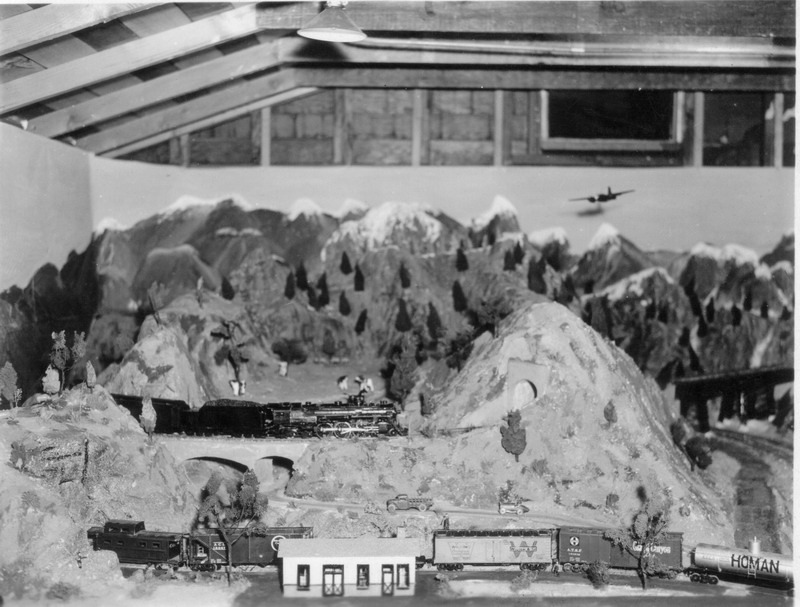 The name "Arroyo Valley" is fictitious, as is the layout. 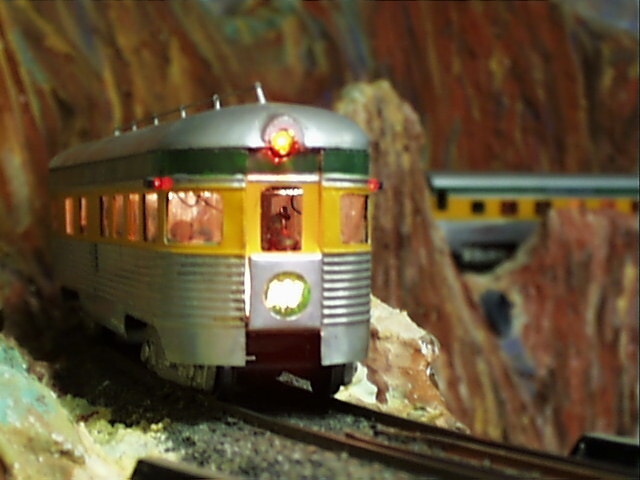 We lived next to the Arroyo Seco (dry river) and the Santa Fe line. The name was first registered with the National Model Railroad Association in 1948. 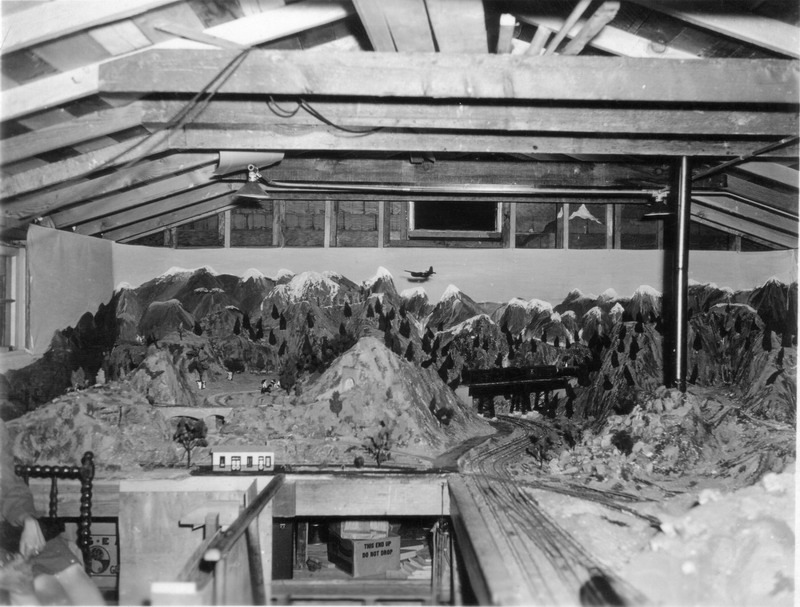 The present layout was moved to my basement in 1984 and is approximately 28' x 13' with a rail height of 44" to 56". Most of the rail is 90# .172 with minimum curves at 3',0", most are 4' 8". The layout is primarily three loops, two almost level and one mountain loop with 2.5 and 1.8% grades. Each loop can be controlled separately or all combined as one.